Almost FIVE years ago, I shared one of our family’s favorite quick, simple, weeknight meals — Creamy Chicken Packets. I still get emails and comments from readers who’ve tried it and LOVED it — and our family still enjoys this recipe on a very regular basis (usually once a month). However, for the past few years, I’ve simplified this recipe even more… thanks to the fabulous “seamless crescent dough sheets” that are now available at our grocery store! 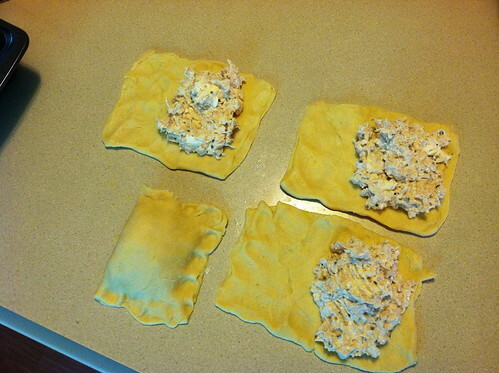 Instead of making individual chicken packets by pressing the triangular crescent rolls together (see photos below), I now use the seamless dough sheets and make this recipe in a casserole dish. By making this one simple twist, I am now able to have this meal completely oven-ready in less than 10 minutes (considering I have the cooked chicken ready to go in the freezer). No more worrying if the dough on the bottoms of the packets is too thin, no more wondering if the filling will seep out the sides, no more time spent pinching and pinching and pinching the dough, AND no more whiny kids if I cut one packet in half to split between them! Plus, I added cheese — so of course it tastes better too! 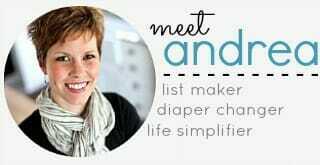 This is still a huge family favorite around our house — and I love it even more since it’s faster and easier to whip together! NOTE: You could easily double this recipe and make it in a 9″ x 13″ pan. Simply press one complete sheet of crescent roll dough into the bottom of the pan, top with double the amount of filling, and lay another crescent roll dough sheet on top. The baking time might be a few minutes longer, but not much. I usually prepare this recipe while the kids are finishing breakfast or lunch, and store it (covered) in the refrigerator until right before we’re ready to eat. Then I uncover it, pop it in the oven for 20 minute, steam a few veggies and cut up fruit while I wait for it to cook, and serve up a super quick and simple meal our whole family enjoys! 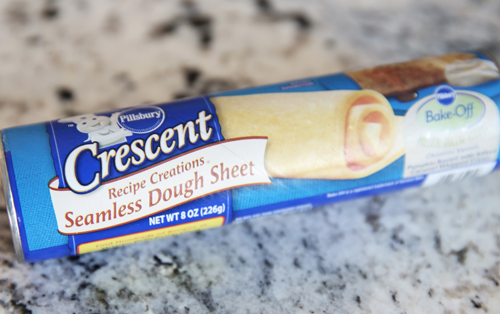 Do you use the crescent dough sheets? I love your chicken packet recipe and it’s been a while since I’ve made it. I want to give this version a try! it’s so easy — and the kids all love it! Made this last night and it was amazing!!! 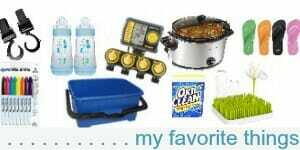 So easy and cheap to make too and my family gobbled it up! yay!!! Glad to know it worked well for your family! We had it last week with ZERO leftovers! 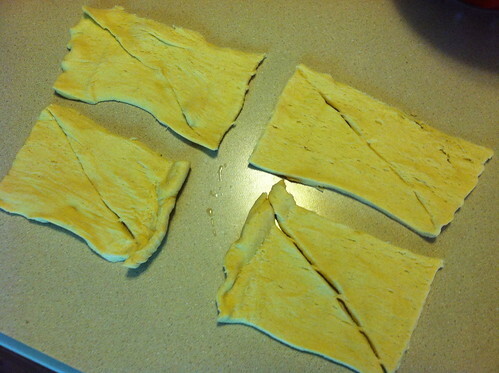 Wondering if you have ever tried it with pizza dough or pie crust dough. Those are the only things I have in the fridge right now (no crescents). I’m guessing it wouldn’t be light and fluffy – it would be more like pot pie. 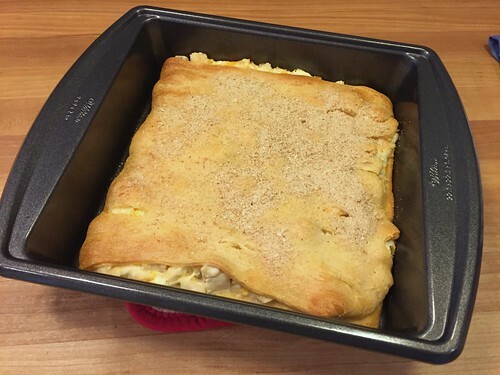 I’ve personally never tried it with anything other than crescent roll dough but I’m sure it wouldn’t be bad 🙂 I will say, the crescent dough is very flaky and delicious… I’d probably go with pizza dough over the pie crust. Do you use dried chives or fresh in this recipe? either! In the summer, I use fresh chives from our garden — otherwise I used dried. I didn’t know the Crescent sheets existed either. This recipe looks really good! I will be trying it out. yes! 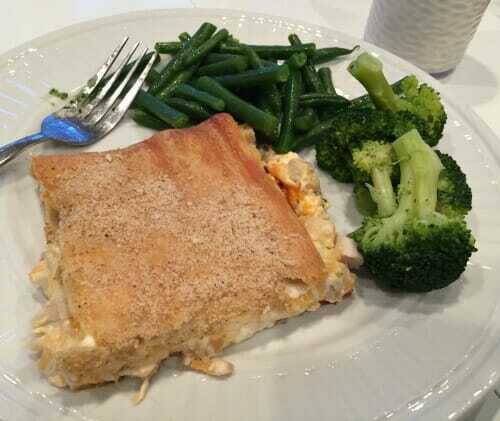 the crescent sheets are amazing for so many baking and cooking purposes. I use them ALL the time! I didn’t know the sheets even existed! 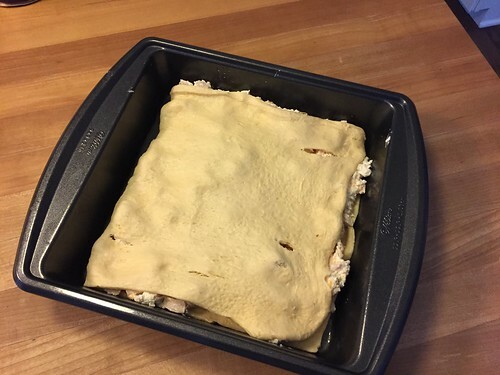 I serve this once or twice a month and having the filling on hand in the freezer sped things up, but pinching together the dough can be annoying some nights. I’ll keep an eye out for these! Can’t wait to try this! 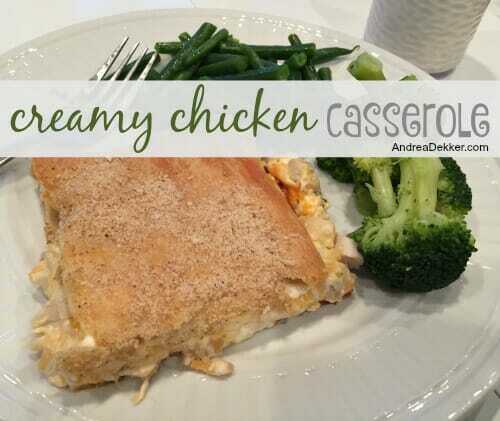 We love the creamy chicken packets. We usually sprinkle the top with Parmesan cheese. I do this sometimes too!